Following on from our ‘Tone of Voice’ work with the legendary brand, Mitre asked our copywriting team to write its Amazon+ descriptions. Established in 1817, Mitre has been around since the dawn of professional sport and is still the brand of choice for elite football and rugby clubs around the globe. We were tasked with producing effective content for use as a ‘coach the shopper’ tool – educating consumers on the purpose of specific product ranges to influence purchases. 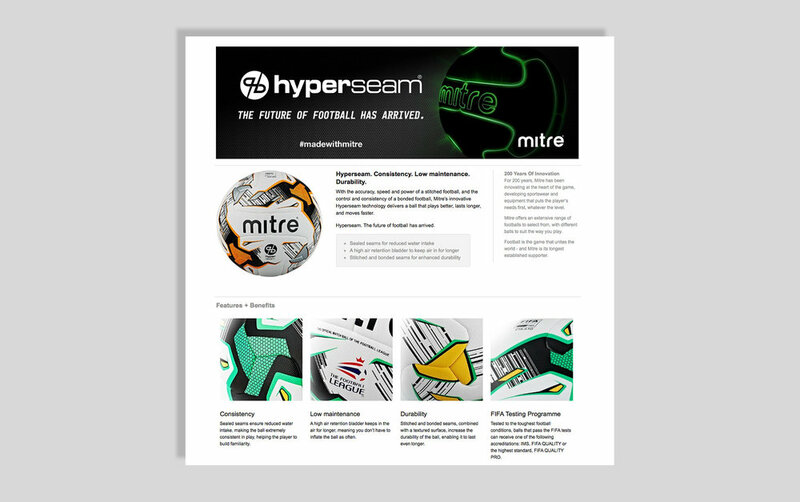 Our specialist e-commerce writers applied their knowledge to produce engaging copy across 11 product categories, from footballs to shin pads. The tone for each product range was crafted with the specific practical use and target audience in mind. The copy had to fulfil the requirements of Amazon’s ‘A9’ search algorithm – which works in a different way to Google’s and requires a custom approach to ensure effectiveness. Mitre’s Amazon+ content boosted Amazon product sales by 20 percent, and the pages are used as a showcase within Mitre at parent group Pentland Brands. 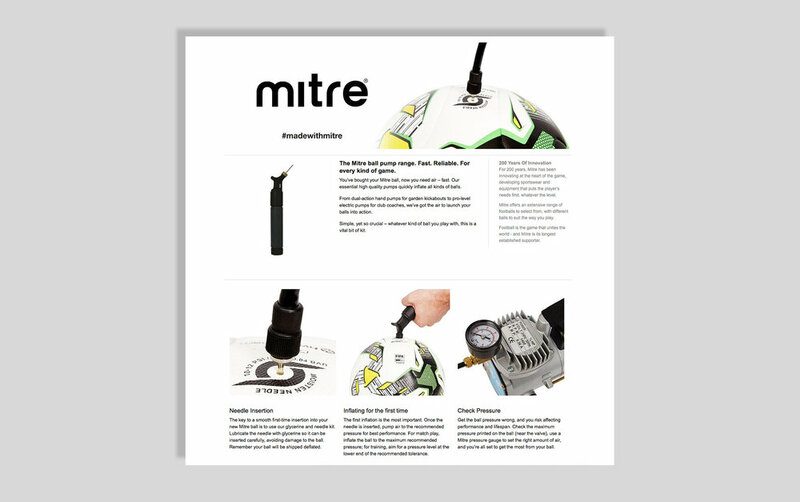 Mitre are proud of the copy we produced, sharing it with other brands. Nathan Spencer, Brand Activation Executive, said: Our A+ content has been shared in a variety of meetings which have included various brands outside of the Pentland Group to showcase ‘best practise’."